This winery has been kind enough to allow me to sample their offerings for several years and the wines continue to improve since Ross Cobb (COBB Wines and Hirsch Vineyards) and Katy Wilson (LaRue Wines) were brought on as winemakers in late 2014 and put their stamp on the style of the wines. The winery uses fruit from the J McK Estate Vineyard in Carneros as well as other vineyard properties in Northern California. A remodeled tasting room, formerly a farmhouse, is open daily for tasting. 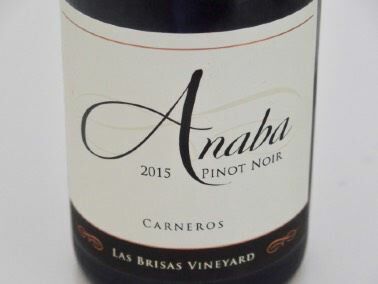 Visit www.anabawines.com. The Carneros AVA was an early pioneering region in the growing and production of Pinot Noir in California. Francis Mahoney, proprietor of Mahoney Vineyards, was an influential contributor to the study of Pinot Noir clones in the Carneros AVA. Las Brisas Vineyard, located on the Sonoma side of Carneros, is part of the Mahoney Estate, and translates to “the breezes.” The name comes from the winds that drive morning fog from the vineyards and bring in cooling winds in the late afternoon. The soils are predominantly shallow clay. Owners Nick and Sheila Nicholas continue to produce consistently stellar Pinot Noir from the Nicholas Vineyard planted in 2001. Tasting is available at the winery’s tasting room in downtown Newberg. Visit www.anamcaracellars.com. Partners Joshua Haberman, Timothy Skok and Jonathen Tyer started making wine on Burt Street in Santa Rosa, CA. All three work in the wine and spirits industry and are passionate about wine. The wines are produced at a bonded facility in Sonoma Valley. Visit www.burtstreetcellars.com. Veteran winemaker Jonathan Nagy focuses on small production, single vineyard Pinot Noir and Chardonnay using grapes from the Santa Maria Valley estate 118-acre Nielsen Vineyard and estate Julia’s Vineyard. Grapes are also sourced from Bien Nacido Vineyard. A companion label, Nielson, focuses on appellation blends. A tasting room is located in Los Olivos. The winery is part of the Jackson Family Wines portfolio. Visit www.nielsonwines.com. A partnership between Santa Lucia Highlands grower Kirk Williams and his stepdaughter Kori Violini. Very good values in quality Pinot Noir. Visit www.koriwines.com. 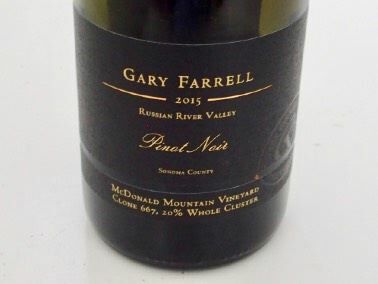 I have had consistently high praises for the wines crafted at Garry Farrell. The winery has sourced newer vineyards of late and two of them, Martaella and McDonald Mountain, are featured here. Winemaker Theresa Heredia has carried on the legacy of Gary Farrell admirably, staying true to his acid-driven style but tweaking it a bit to put her own stamp on the wines. The winery has a stylish tasting room open by appointment. Visit www.garyfarrell.com. The winery’s estate vineyard is located on Hwy 246, 11 miles west of Buellton. Owners Dan Kessler and Ellen Haak-Kessler acquired the 40-acre site and planted a 30-acre vineyard in 2005. The vineyard has 7 Pinot Noir clones on 3 rootstocks over 27 acres. A 2.5-acre hillside was reserved for 3 clones of Chardonnay planted on low vigor 110R rootstock. Yields in the vineyard average 1.2-1.5 tons per acre for Pinot Noir. Vineyard practices are strictly organic. 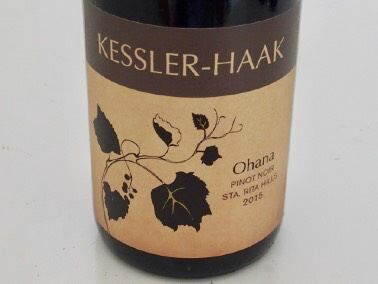 The website is www.kesslerhaakwine.com. This is a new entry in the ever-expanding cadre of growers who begin producing their own wines. Marnie and Brett Wall are the winery owners, and Tony Rynders is the winemaker. 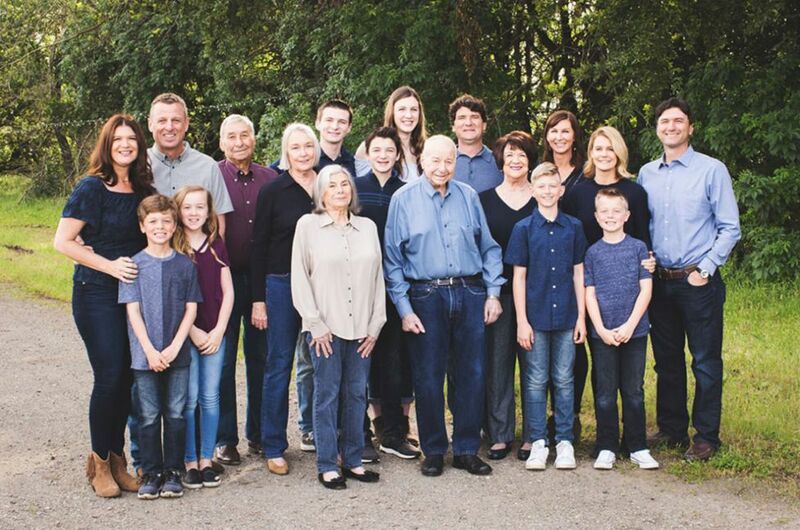 The owner’s 55-acre site has been in Marnie’s family for over 20 years. The 12-acre estate vineyard, planted in 2012, is located southwest of the Eola-Amity Hills in the newly proposed Mt. Pisgah AVA. The vineyard is dry-farmed with the use of organic practices. Several wineries have sourced grapes from this vineyard including Broadley, WildAire, Dobbes Family Estate and Joel Gott Wines. The co-owners are opening a small, by appointment tasting room featuring chef-inspired pairings in the fall of 2019. Visit www.openclaimvineyards.com. The 2015 Chardonnay was reviewed in the previous issue. A partnership between Carlo Mondavi and Dante Mondavi. The winery name translates as “Society of Research in Agriculture & Enology Naturally.” The winery’s three hillside vineyard estates are located within miles of the Pacific Ocean. All 2016 bottlings are sold out. Wines are allocated to RAEN Society members and Mailing List members. I have been a fan of these wines, now in their fourth release. In addition to the wine reviewed here, the 2016 lineup includes a Fort Ross-Seaview Home Filed Vineyard and a Freestone Occidental Bodega Vineyard Pinot Noir, and a Fort Ross-Seaview Charles Ranch Vineyard Chardonnay. The website is www.raenwinery.com. Visits by appointment. 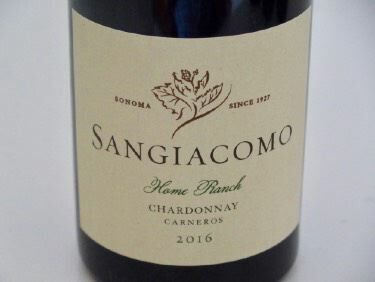 The Sangiacomo holdings have grown to 1,600 estate acres of vines in Napa and Sonoma counties. All vineyards are 100% certified sustainable. 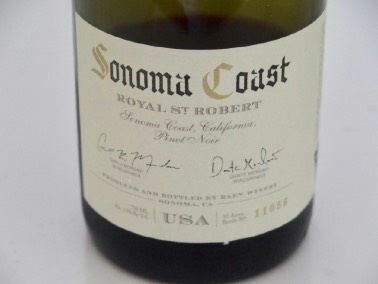 Perhaps the most well-known Pinot Noir vineyard is Roberts Road located in the Sonoma Coast. The winemaker is veteran James MacPhail, formerly of MacPhail Wines. The winery owners were inspired to enter the wine business by a summer trip to France in 2008. 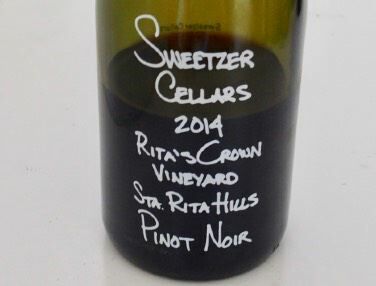 They began crafting wine in an apartment on Sweetzer Ave. in West Hollywood, California, using Cabernet Sauvignon grapes from Napa and Sonoma. In 2011, they tried their hand at Pinot Noir. The wines are now produced at a bonded facility in Buellton. 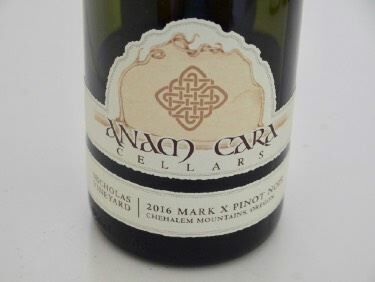 About 1,000 cases are made of single vineyard and appellation-designated Pinot Noir, as well as single vineyard and appellation-designated Chardonnay, Syrah and Grenache. Tasting by appointment. Visit www.sweetzer-cellars.myshopify.com.